Patterns at Crested Pool 2, Yellowstone. 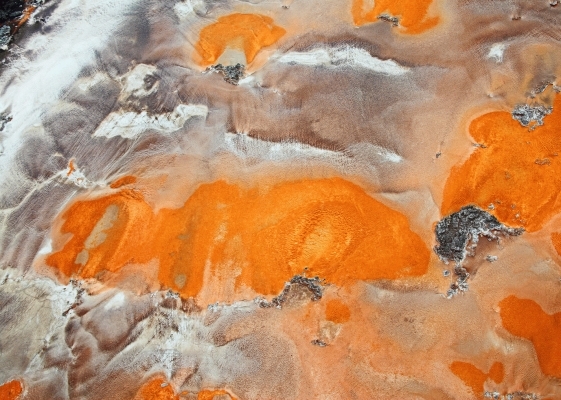 The ochre colours come from the distinctive Yellowstone rocks and the patterns and shapes of moving water over mineral and microbial deposits in the thermal springs at Yellowstone national park, Wyoming, USA. This is a limited edition signed art print on Tinteretto art paper, edition of 100.